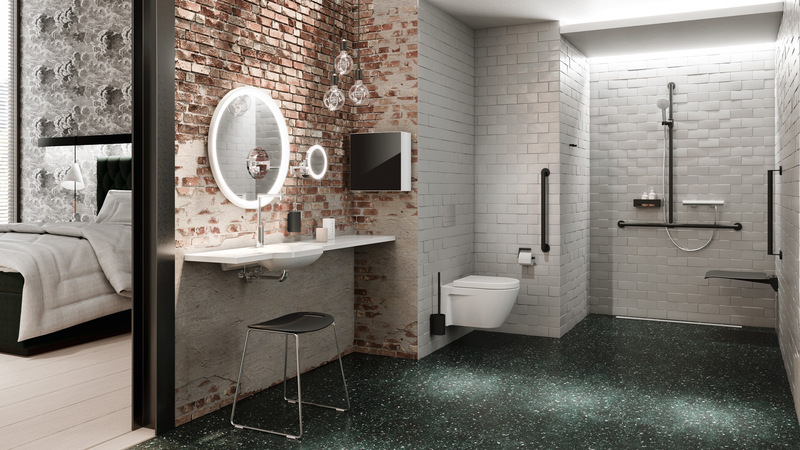 Decades of experience, constant further development, an understanding of design and materials and a focus on the essentials make HEWI an expert for barrier-free sanitary rooms. Driven by the idea of making the good even better, HEWI is constantly working on new concepts that help to make life easier for people. 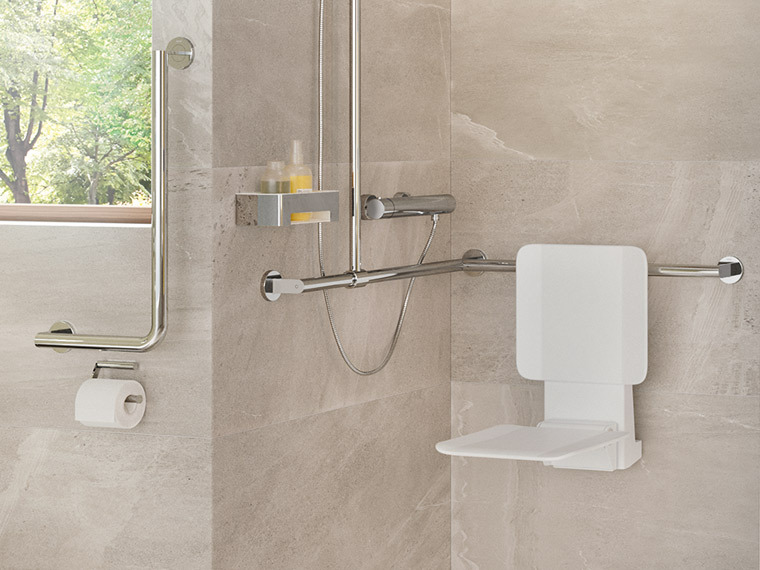 System 900 is the answer to the complex requirements of accessibility bathrooms. 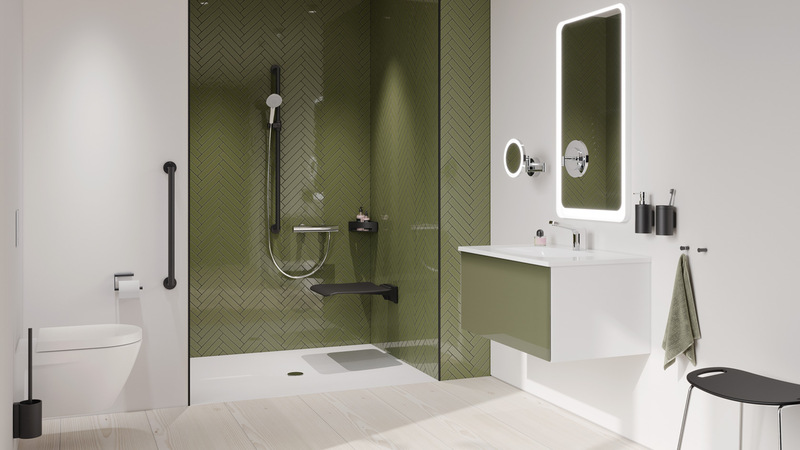 The products are thought through down to the smallest detail - they convince through functionality, lasting quality, clever assembly technology and hygienic design. 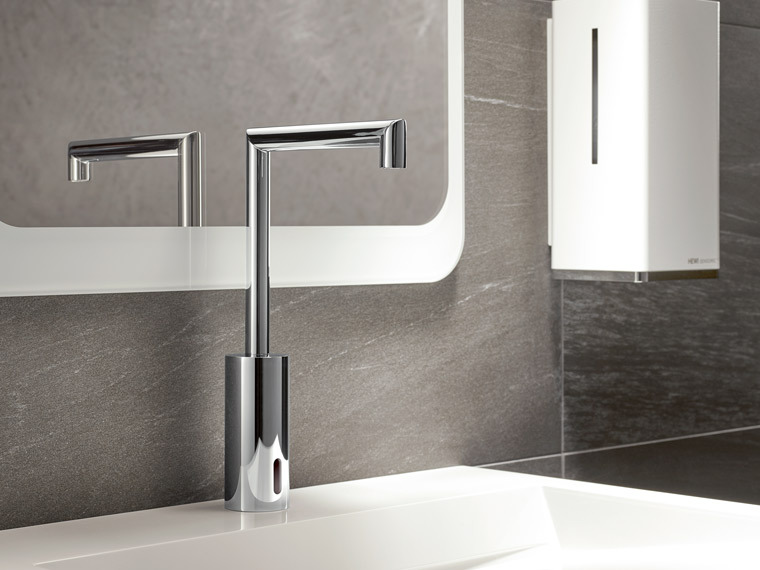 System 900 combines puristic design with high functionality and a unique assortment depth. System 900 can be used to create comfort. 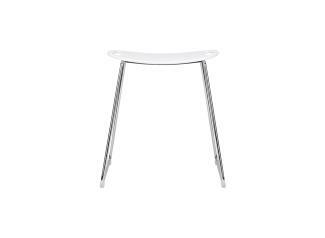 For HEWI, good design also means offering options. 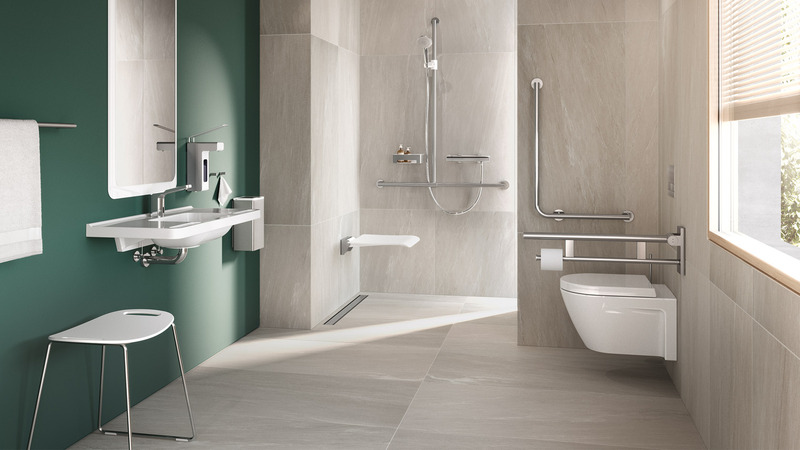 Due to the large variety of materials, System 900 enables design options - be it in the standard patient bathroom of a hospital, in the comfort ward of a private clinic or in the exclusive senior citizens' residence. System 900 also meets the highest standards of comfort and aesthetics in hotels. 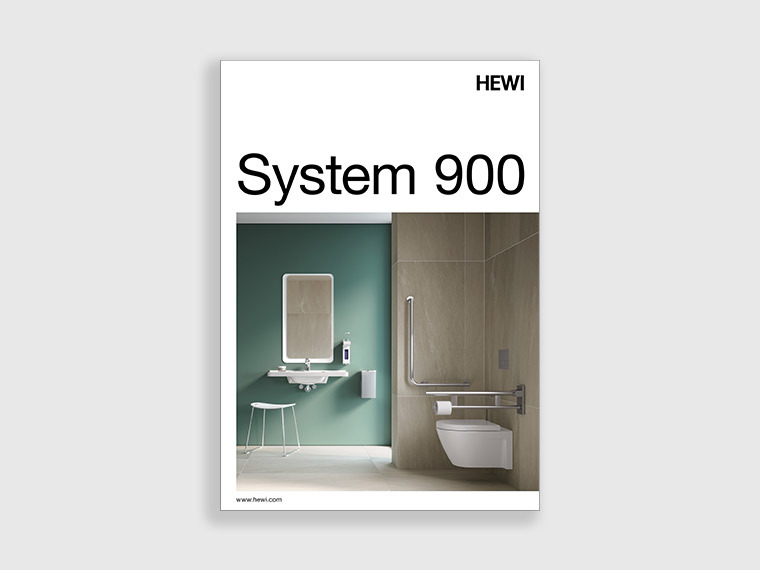 With System 900 in a matt look, HEWI provides a new, exciting source of inspiration. 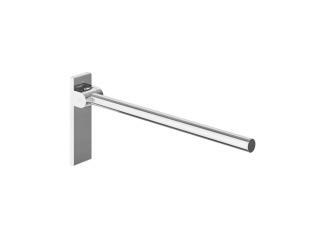 System 900 is available with a stainless steel or chrome finish and with a deep matt finish in white, grey or black. 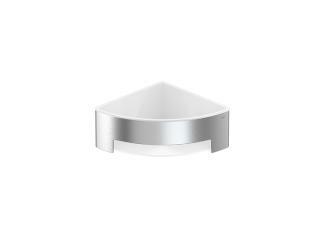 In existing baths it is often difficult to achieve an exact solution with standard products. 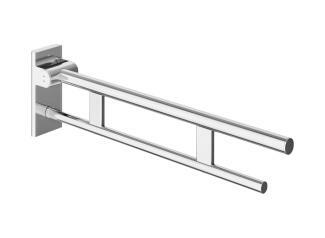 System 900 offers tailor-made support and rail systems that fit exactly into the structural conditions. 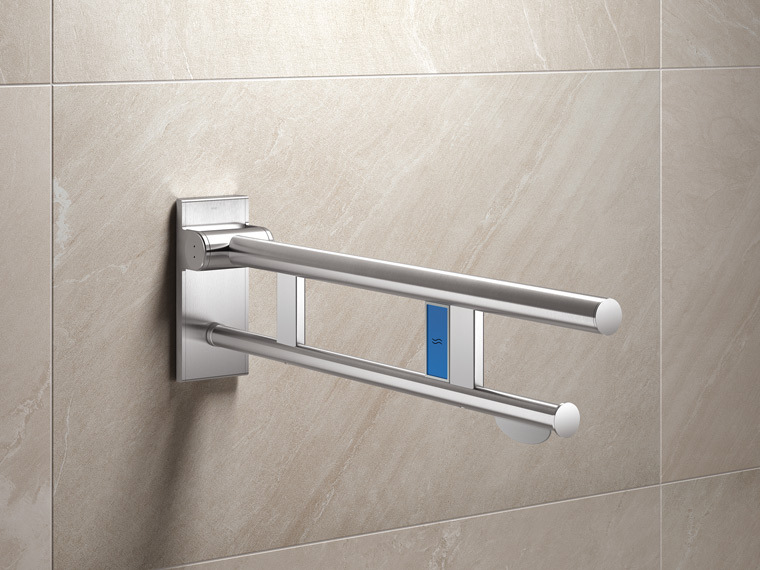 System 900 is the answer to the varied, complex requirements of accessible bathrooms in the professional care sector. 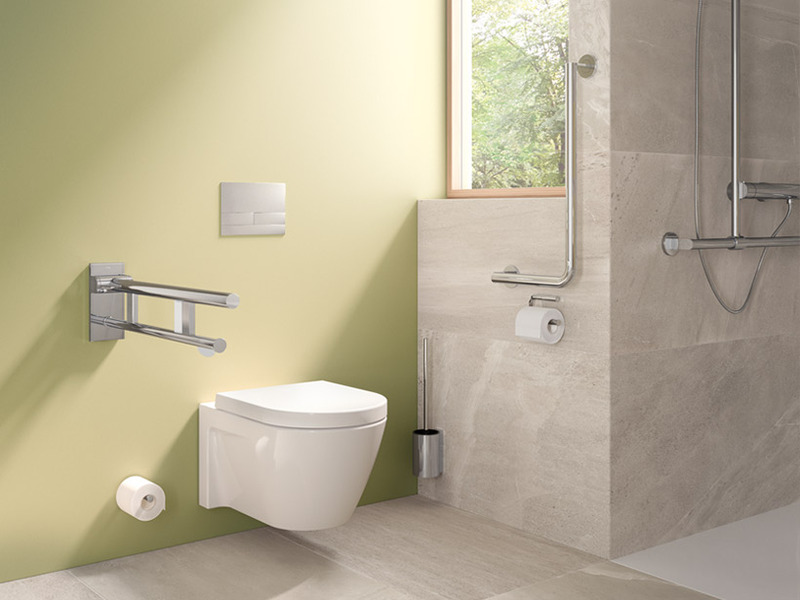 With our expert knowledge we assist architects, designers, and installers with the design of accessible bathrooms. The functions of System 900 are aimed at assisting the independence and well-being of patients in the best possible way. 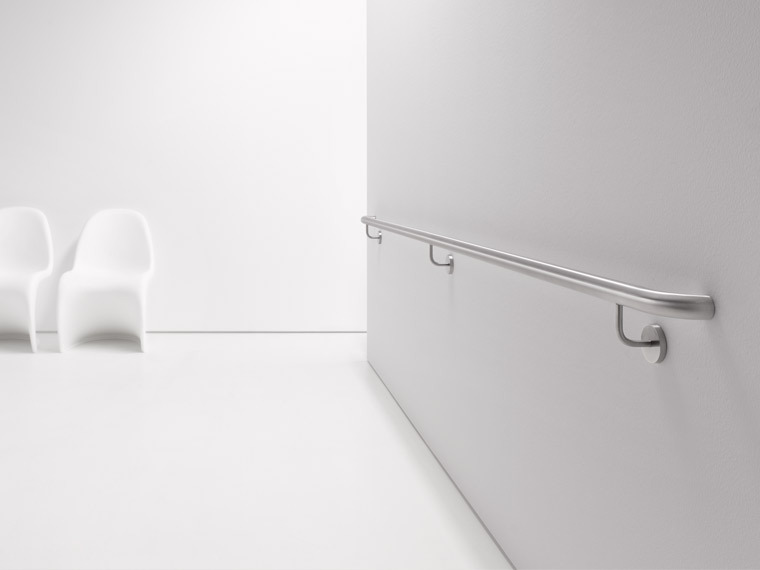 Hygienic surfaces make cleaning easier and relieve the care personnel's workload. 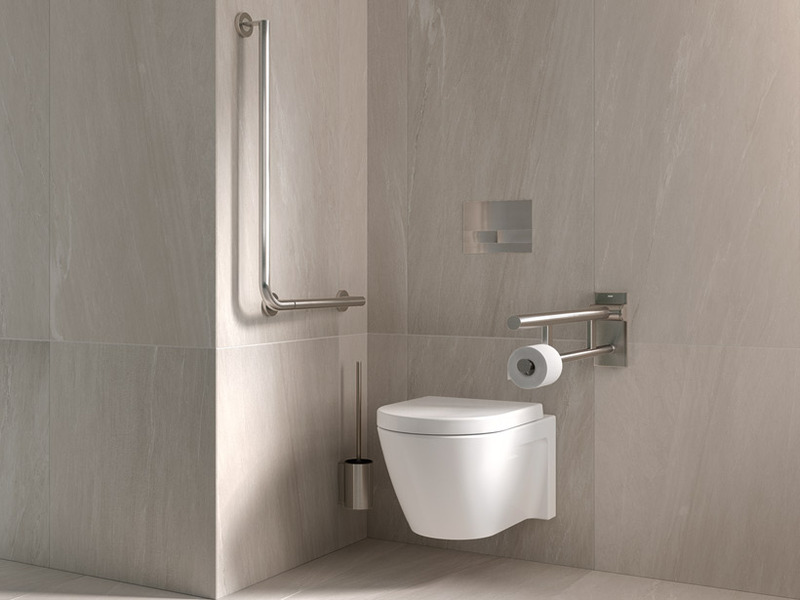 Accessible sanitary rooms set high requirements for the design and fitout of these areas. 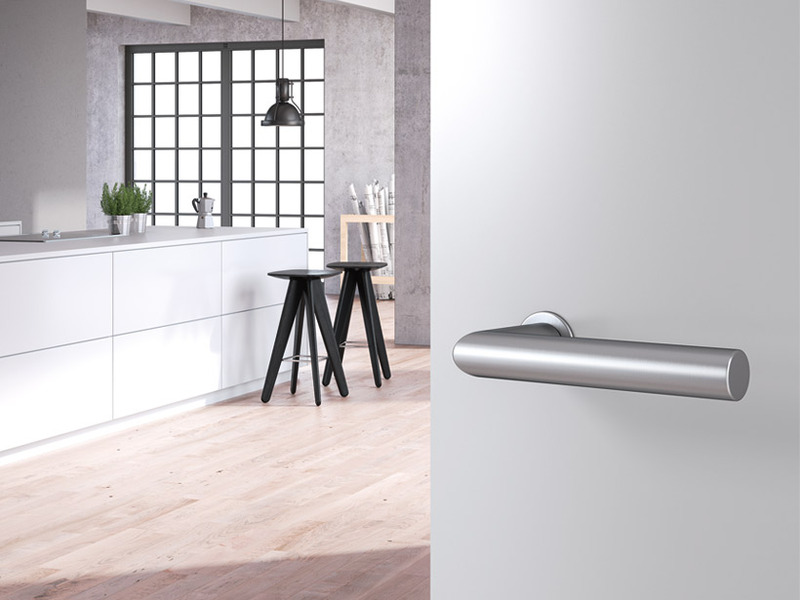 HEWI has decades of experience and develops innovative products in universal design. Benefit from our knowledge of compliant design. Hygiene is a decisive factor, especially for use in professional care. 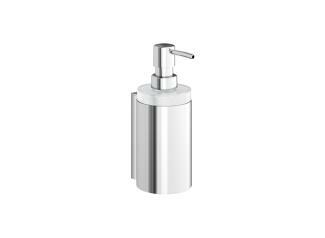 System 900 has been designed to provide maximum hygiene in the bathroom. Only easy-care materials with optimum cleaning properties are used. 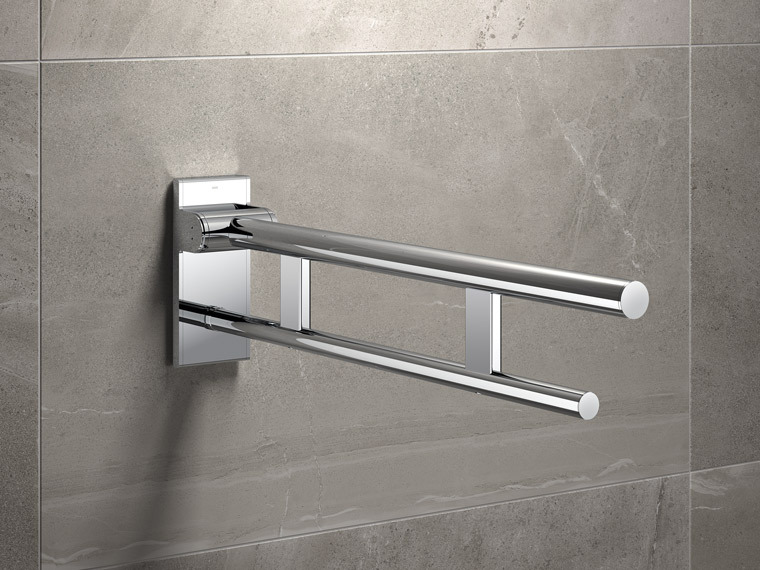 The System 900 support systems have a convincing, particularly clever installation technology. 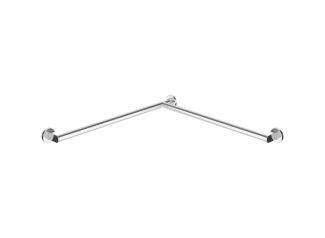 With the innovative push-lock principle, only three fixing points are required instead of the usual four. This makes the installation significantly faster. 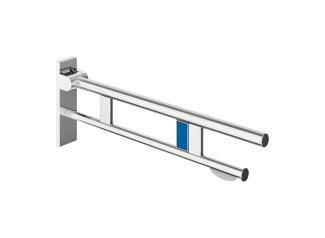 The toolless installation enables the care personnel to simply add the mobile shower seat or mobile hinged support rails to the bathroom as and when needed. 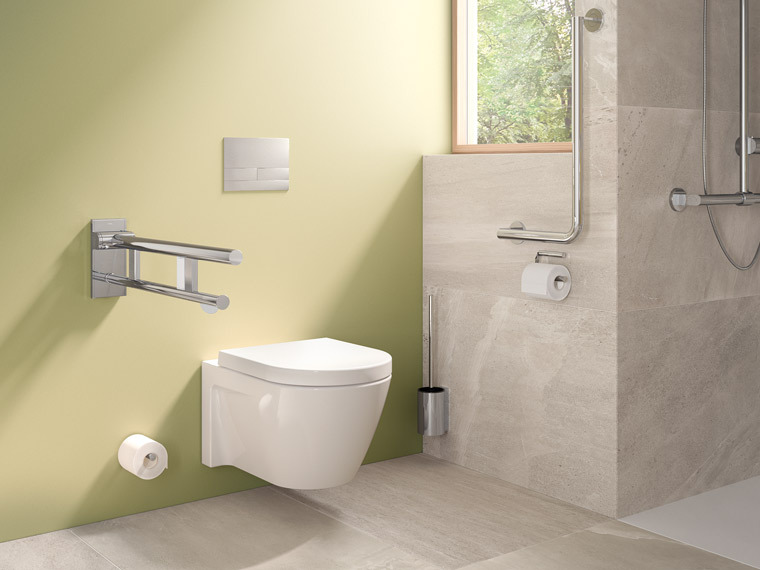 This means sanitary rooms can be flexibly adapted to the individual needs of the user. Safety, independence, comfortable and convenient use have a large influence on the patient's well-being. System 900 invites patients to feel good and provides hotel comfort in a hospital or care home. The functions of System 900 are matched to the highly different requirements of the respective area of use. 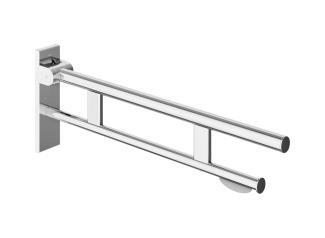 For example, the hinged support rail is available with varied configurations – from the minimalistic mono hinged support rail to the fully equipped duo hinged support rail with toilet roll holder and radio-controlled flushing mechanism. System 900 sets new standards - both in terms of design and technology. 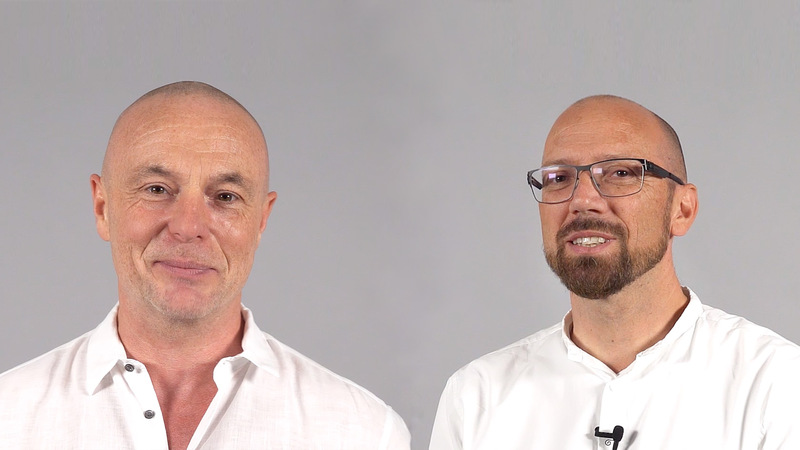 Great innovations through strong partnerships: The film tells you about Bertrand Illert, design agency NOA Aachen, and Oliver Widy, HEWI Concept Development, what distinguishes System 900 and makes the collaboration so successful. 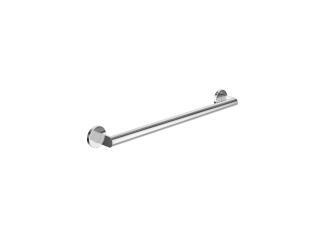 Stainless steel has a pore-free and therefore particularly hygienic surface. Minimal maintenance is sufficient to prevent dirt or microorganisms from accumulating. The material is extremely robust and insensitive to scratches. 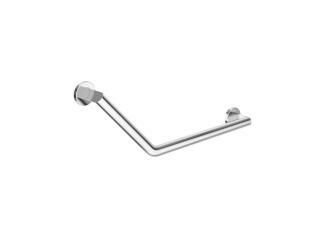 Stainless steel products are extremely resistant to cleaning agents and disinfectants. 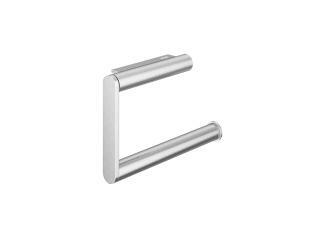 The basis of the high-quality chrome-plated products is stainless steel. This makes them extremely resistant to corrosion. 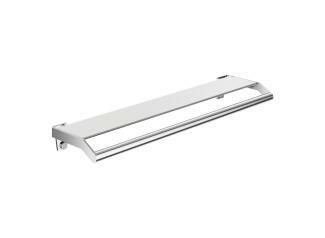 System 900's chrome-coated products are also particularly resistant to cleaning agents. 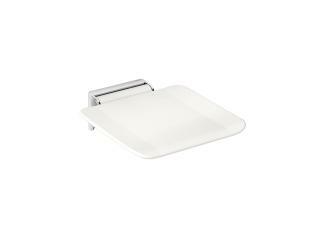 The smooth, high-gloss surface facilitates cleaning and is particularly hygienic. With System 900 in a matt look, HEWI provides an exciting source of inspiration. 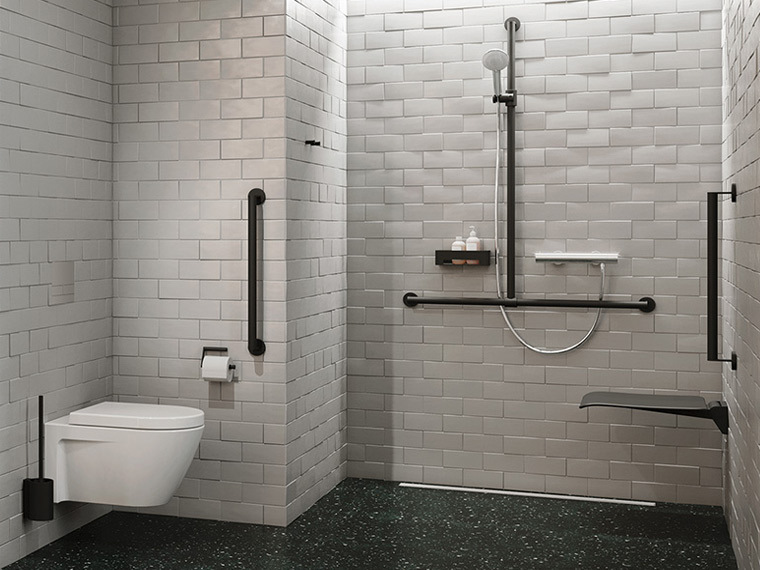 Deep matt white, light grey pearl mica, dark grey pearl mica and black offer design options. The special powder coating gives System 900 an incomparable finish. 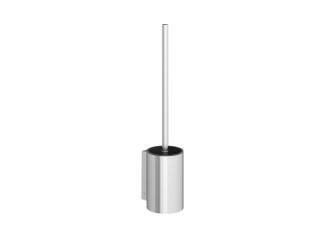 In addition to its outstanding appearance, powder coating offers maximum corrosion protection. System 900 is versatile. 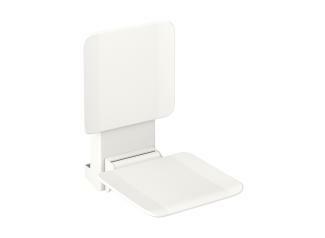 The unique range depth enables the design of standard-compliant, accessibility sanitary rooms without compromises. 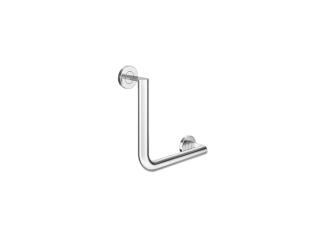 HEWI system fittings have been developed according to universal usability aspects. 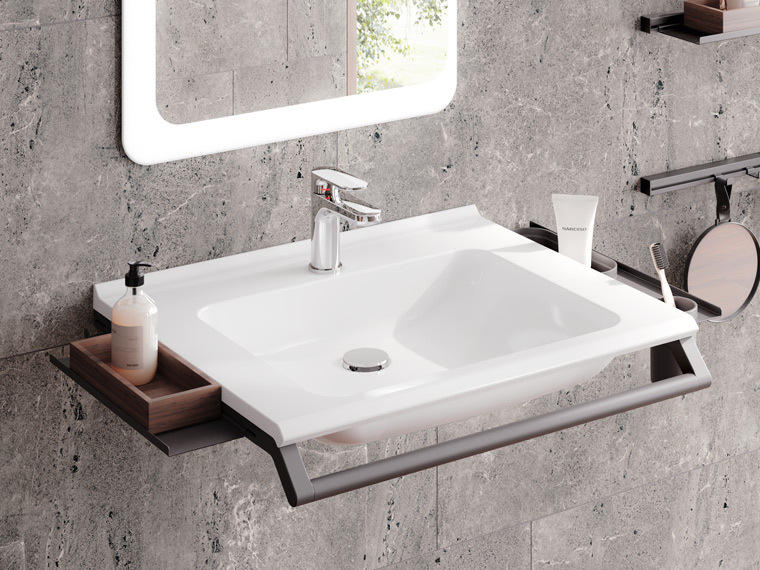 They perfectly complement the accessible washbasins made of mineral composite. 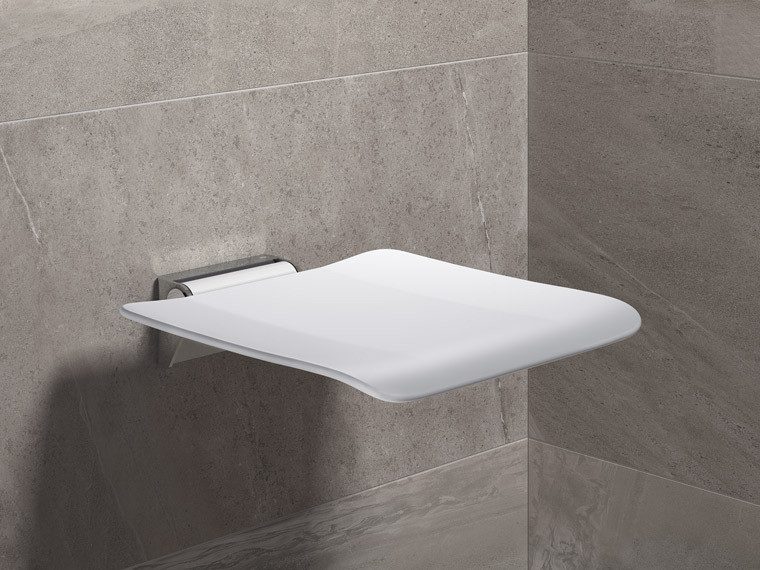 The convincing features of the HEWI washbasins are their integrated grab bars and shallow style. 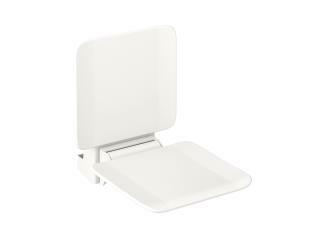 They provide accessible comfort and convenience whether in the seated or standing position. 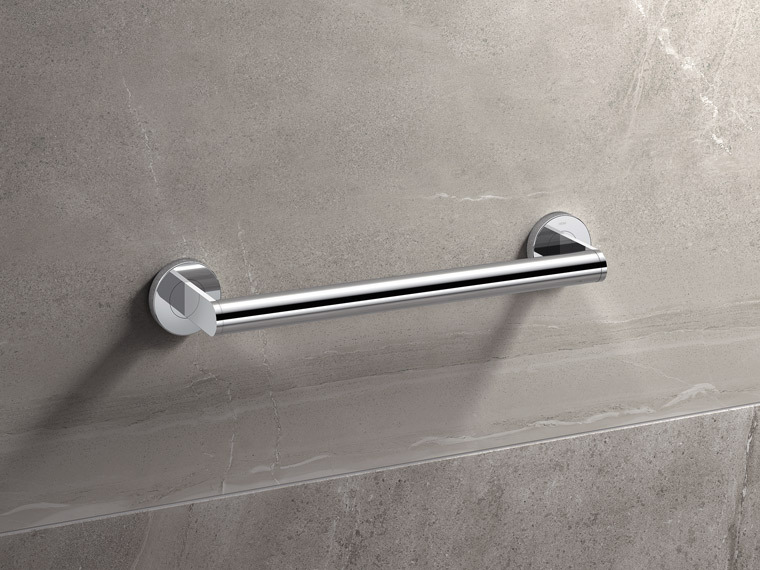 System 900 is completed by the System 162 hardware, so that consistent, continuous design is possible from the door through to the bathroom. 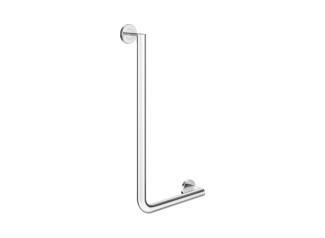 The puristic design concept of the circum handrail system perfectly matches the System 900 design.